MFC Driftwood brings the latest Italian styling. 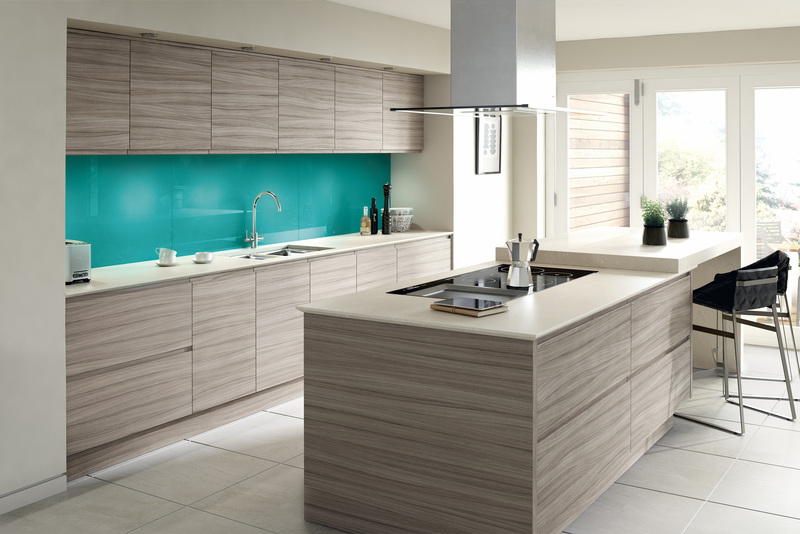 Inject infusion of colour with a stunning turquoise glass splash-back. MFC doors are available in Concrete, Grey Bardolino, Fleetwood Grey, White Oak, and more to come. There are made in made to measure sizes. All glass splash-back shown are available to order from ourselves. In any colour and size. Go for a luxury by adding brick effect or glitter to the glass. Examples of our splash-backs are available to view in our showroom.